Yup Warrior it is!! 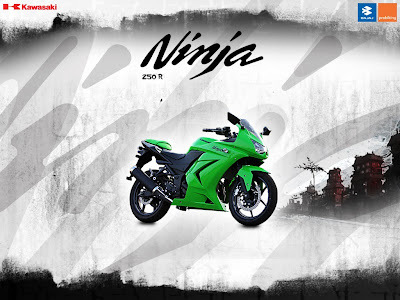 On 7th, October, 2009, the 2010 Kawasaki Ninja 250R was released amidst much fan fare and very very high expectations. A Parallel Twin DOCH 249cc, Liquid Cooled beast which can master the track and traffic at the same time. Going from a 0 - 100 kmph in around 7sec in 3rd gear tells the sheer acceleration figures this machines can attain. Styling wise... there's nothing to complain about!! It's easily the best in it's Fully-Faired 250cc class. Overdrive found the bike a bit lacking in power and as per them it lacked the "Fear Factor". They found the bike very easy and smooth to ride. At the same time, MCN says that it's a fun bike and is the best in it's class.... much much better than the Hyosung GT 250 and I'll take every word that MCN says! !